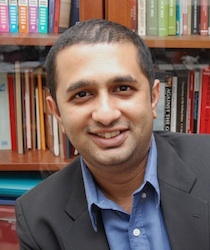 Nitin Pai (facebook, twitter) is founder & fellow for geopolitics at the Takshashila Institution, an independent networked think tank and editor of Pragati – The Indian National Interest Review, a publication on strategic affairs, public policy and governance. He is a graduate of Singapore’s Lee Kuan Yew School of Public Policy from where he obtained a Master in Public Administration (MPA) degree. He is an alumnus of Nanyang Technological University, Singapore and National College, Bangalore. The Acorn has been in the blogosphere since mid-September 2003. In May 2005, it became part of the Indian National Interest (INI) platform, a family of high-quality blogs on public affairs. With the formation of the Takshashila Institution in October 2009, INI has become an outreach initiative of our networked think tank.